You can’t give what you don’t have. The effectiveness of a pastor, preacher, teacher, or minister of any kind in service to God is rooted in their personal experience. A minister of God, to be effectively used by God, and to be seen and received as credible by those they minister to, must walk the talk. 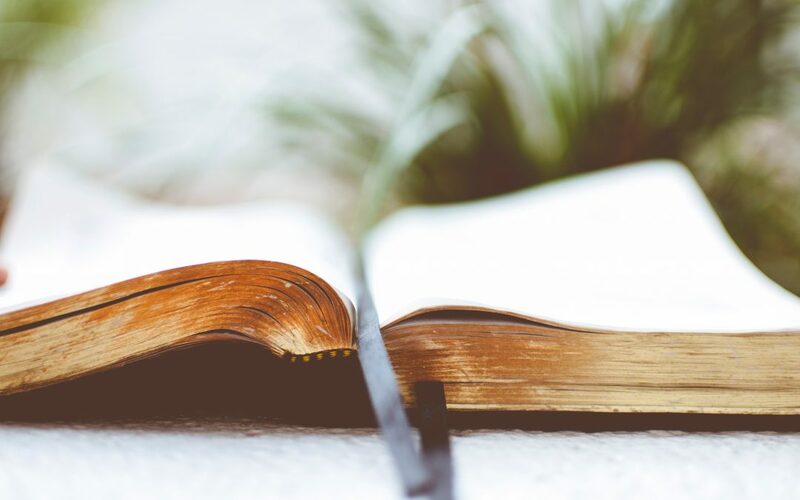 When Paul was inspired by the Spirit to write the Thessalonians he was able to refer to himself as evidence of the reality of what he taught them. Every minister should be able to do that. Parents who tell their children “Do as I say, not as I do,” are never effective. A ministry that operates on that same premise will be shallow, hollow, empty and ineffective. It is true that when we look in scripture at the people God uses we see His propensity to use unlikely people. God uses people that by worldly standards would not likely be used. Abraham lied. Jacob connived. Moses had an anger problem. Joshua was fearful. Gideon was timid. Samson wasted his heaven sent gifts. King Saul thought he knew better than God. David was an adulterer and premeditated murderer. Solomon disregarded God’s scriptural warnings and allowed his wives to turn his heart from God. John the Baptist dressed weird. Peter was impulsive. The apostles were competitive and spiritually dull. Saul of the New Testament hated Christians. God worked with and used all these people. And when we look outside the Bible throughout history we continue to shake our heads in wonder at the people God chooses. God does this to assure He gets the glory. He doesn’t want our faith to be in ourselves or people, but in Him alone. But it would be a mistake to look at the exceptions in order to build a rule that excuses those God uses from His prescribed scriptural standard of ministry. We should not glorify deficiencies, oddities, quirks, or exceptions so as to excuse us from living the ministry standards God requires. A minister is a servant. Our attitude to serving God Most High should be that we are indeed serving God Most High! We serve in the sight of God. We serve a risen Savior; Lord Jesus. That should be reflected in a desire not to lower the standard of ministry but to elevate our efforts to abide by God’s prescribed high calling for ministers. We should want to serve Him faithfully. We should serve faithfully. This is not to say the minister is perfect. Paul admitted to his imperfection saying, “Not that I have already attained, or am already perfected; . . . .” (Phil. 3:12). No matter who we are, we are who we are, by God’s grace (1 Cor. 15:10). God wasn’t finished with him. Even the great apostle had room to grow. He wasn’t all he could be; yet. He was vastly more than he could have ever hoped to be without the Lord. And he was “perfect” (telieos) or mature in his commitment to see God’s work completed in him and through him (Phil. 3:15). Faithfulness was and is the ingredient God gives to attain that objective. The first twelve verses of 1 Thessalonians 2 are a gold standard for ministers. This is what a minister should look like. Remember, minister means servant. Whether you are serving the Lord as an usher, Sunday school teacher, small group leader, disciple maker, counselor, youth pastor, worship leader, assistant pastor, Senior pastor, or a parent, etc., these characteristics should be prayerfully considered. Sons of God are led by the Spirit of God (Rom. 8:14). Pray the Spirit lead you to apply these ministry standards of faithfulness to your life. What follows are the characteristics of a faithful minister as seen in Paul’s personal testimony. If you are or want to serve the Lord, take heed. First, a faithful minister practices what they preach (2:1). Paul wrote, “For you yourselves know, brethren, that our coming to you was not in vain.” Paul did not instruct or require from others what he himself was not willing to live out. Paul’s ministry was effective with the Thessalonians. It was not “vain” (κενός kĕnŏs, ken-os´) or empty, worthless, void, ineffective. Paul’s life backed up what he was inspired to teach the Thessalonians. Paul’s ministry was full, substantial, valuable and effective. And this is true first because Paul was faithful to practice and live out what he preached. He lived in the Spirit and grace of Christ what he preached in the Spirit and grace of Christ (cf. 1 Thess. 1:5; 1 Cor. 15:10; Gal. 2:20; Col. 1:29). Hypocrisy is offensive to God. Jesus had some very strong words for the religious hypocritical leaders of His day (cf. Matthew 23). In the early church hypocrisy was seen as lying to God (Acts 5). It was strongly condemned and judged. If we willfully present ourselves as something we are not we are acting hypocritically. It would be better to honestly admit that we aren’t all that we should be but are working in the Spirit to improve. God is opposed to the proud but gives grace to the humble (1 Peter 5:5-6). When we speak of practicing what we preach we are speaking of personal experience. Experience is important. Being a brain surgeon fresh out of Harvard Medical School is well and good, but if you were looking for someone to operate on your brain, would you want a new graduate with no experience (you would be their first real case), or perhaps a brain surgeon from even a lesser recognized school but who had 30 years of successful experience doing the operation you need? A rookie has more to learn from experience. A veteran has learned from experience. Book learning is valuable, but to experience the truth of a book in the realities of life is even more valuable. Yes, experience is important. Similarly, for example a minister who is joyfully married with children is going to have a leg up on a minister who is single with no children when it comes to marriage and family counseling. There are just too many emotions and experiences involved with marriage and family relations to ignore or know about merely from a book or from observing from outside such relationships. But what about Jesus, He was single? The Church is His Bride. What about Paul, Timothy, Titus, Barnabas, James and John? The Bible doesn’t mention them as being married. No, but it doesn’t say they weren’t married either. We simply don’t know whether or not they were married. Generally speaking, being able to practice what you preach and preach from a position of having practically worked out what you teach, is better than if one is simply speaking from theory. Whether or not Paul was married is not the issue here. His ministry was credible because he did live out and practice what he preached to the Thessalonians. With this in mind Paul counseled Pastor Timothy that when choosing leaders he should not choose a “novice” (νεόφυτος nĕŏphutŏs, neh-of´-oo-tos) or a newly planted or new convert (1 Tim. 3:6). The danger in putting someone into ministry too soon according to Paul was that they would be lifted up in pride making themselves vulnerable to the devil’s attacks. A person should be introduced to ministry through the instrument of discipleship or mentoring. Then by the leading of the Spirit and the development of their spiritual gifting they are prepared for ministry. When is someone ready for ministry? When they are humbled and have a servant’s heart. They are ready when through fruitfulness in ministry the Spirit makes their readiness evident to the Body of Christ. When there is a peaceful consensus amongst those overseeing the candidate that it is God’s will (cf. Col. 3:15). Another aspect of this point is that Paul was willing to sacrifice privacy so that those around him could see how he lived. Paul comments, “you yourselves know . . .” (2:1; 3:3) and “you know” (1:5; 2:2, 5, 11; 3:4; 4:2). How was Paul able to say that they knew something about the way he lived? How did they know about him? He made himself accessable and visible to those around him. It doesn’t mean Paul was acting merely for their benefit. Perhaps he took some of them along with him for local ministry efforts while at Thessalonica. Or they simply observed the way he lived among them. Ministry is often said to be lived in a fishbowl. Some in ministry even complain about this. But it is essential. If those around the minister are to follow their example, they must be able to see that example. This accessibility is used by the Lord to enhance ministry as people observe the minister and see the genuineness of their faith. The one contemplating ministry of some kind, especially pastoral ministry, should be aware of this sacrifice of privacy. They need to be willing to count the cost to themselves as well as to their family. A spouse and family members should be included in the decision making process to go into ministry since they will, like it or not, in reality be living in that same fishbowl. It’s not easy being accessable and observable. But if others are to see the example of the minister, it is necessary. Ministry will cost you your privacy. Second, a faithful minister is not prevented from preaching the gospel by persecution (2:2). Paul goes on to state: “But even after we had suffered before and were spitefully treated at Philippi, as you know, we were bold in our God to speak to you the gospel of God in much conflict.” (2:2) Paul was not a fair weather warrior. He had been mistreated in Philippi prior to coming to Thessalonica (Acts 16). This did not discourage or deter Paul from sharing the gospel with the Thessalonians. Paul and his mission’s team met with opposition at Thessalonica as well, but nothing could stop Paul. Later to the Ephesian elders he said, “But none of these things move me; nor do I count my life dear to myself, so that I may finish my race with joy, and the ministry which I received from the Lord Jesus, to testify to the gospel of the grace of God” (Acts 20:24). Paul suffered greatly during his life of ministry but he persevered faithfully until the end of his life (cf. 2 Cor. 4:7-18; 11:22-33). Such perseverance is evidence of calling. It is the hireling that runs in the face of opposition (cf. John 10:12-13). Paul wrote Timothy about why he was able to press on. He stated, “For this reason I also suffer these things; nevertheless I am not ashamed for I know whom I have believed and am persuaded that He is able to keep what I have committed to Him until that Day” (2 Tim. 1:12). Paul’s deep personal abiding relationship with the Lord sustained him throughout his trials. Jesus was there with him throughout. He was able to say, “But the Lord stood with me and strengthened me” (cf. 2 Tim. 4:16-17). And Paul heard the comforting words of Jesus saying, “Do not be afraid, but speak, and do not keep silent; for I am with you, and no one will attack you to hurt you; for I have many people in this city” (Acts 18:9-10). That is the heart and confidence of a faithful minister. Without that a minister will crash and burnout. Paul was “bold” (παῤῥησιάζομαι parrhēsiazŏmai, par-hray-see-ad´-zom-ahee) meaning he was frank and confident. This doesn’t mean Paul was belligerent or harsh. He simply didn’t beat around the bush but spoke straightforwardly the gospel of God in Christ. But notice Paul’s boldness was “ín our God.” His confidence came from relying on God not anything within himself. He wasn’t confident because of his schooling or even his experience. He was confident because as he said earlier the Spirit empowered him to be confident (cf. 1:5). It is the Holy Spirit who empowers and gives boldness in the face of opposition. Furthermore, by Paul linking his boldness to “our God,” he was pointing out to the Thessalonians that they too could share in the boldness that comes from their common God in the Spirit. Paul used inclusive words so the Spirit could use them to call others into ministry. Paul was always looking for “faithful men who will be able to teach others also” (2 Tim. 2:2). This is a great need in the church today. Everyone in ministry will suffer difficulties from within the church (e.g. Acts 15:36-41; 1 Cor. 9; 2 Tim. 4:10) as well as from outside the church (e.g. Acts 9:20-25; 13:50-52; 14:19-20; 16:16-40; 17:5-9; 18:9; 19; 21-28). All who seek to live a godly life of ministry will experience persecution (2 Tim. 3:12). That’s a promise. That’s a fact. Ministry is not for the faint of heart. Truly ministry will prove like no other station in life whether or not you truly are willing to deny yourself, pick up your cross and follow Jesus (Luke 9:23). No one should enter ministry without seriously counting the cost and without a clear grasp of God’s call on their life (Luke 14:25-35). Ministry is not a vocation or profession; it is a calling from God. The person who enters ministry without God’s calling will discredit the Lord or themselves and very likely both. Pray your calling through. Be a Thessalonian who, “Knowing, beloved brethren, your election by God” (1:4). Third, a faithful minister exhorts honestly with pure motives (2:3). Paul says, “For our exhortation did not come from error or uncleanness, nor was it in deceit.” To exhort is to strongly encourage and rally people to a cause. Paul said he didn’t do this “from error” (πλάνη planē, plan´-ay) or because he was wandering from the path of truth or delusional. Paul had no delusions of grandeur! He wasn’t caught up in “uncleanness” (ἀκαθαρσία akatharsia, ak-ath-ar-see´-ah) or ritual or moral impurity. His motives for ministry were pure. He wasn’t motivated by “deceit” (δόλος dŏlŏs, dol´-os) or craftiness. He wasn’t a manipulator looking to fleece the flock of God. No, his motives were pure and as we proceed further in his testimony we will see what those pure motives were. Minister what are you motives for what you do? Are they to exalt yourself or the Lord? Are they to enhance your position of power or the Lords? Are they to enrich you or the Lord and His Bride the church? What are your motives in ministry? Wrong motives in ministry grieve the Spirit and quench what the Spirit desires to do. Wrong motives, self-centered, self-promoting, self-reliant motives are a betrayal of the Lord and those being served. If you are involved in ministry check your motives. 1 Thessalonians 2:4-6 – 4 But as we have been approved by God to be entrusted with the gospel, even so we speak, not as pleasing men, but God who tests our hearts. 5 For neither at any time did we use flattering words, as you know, nor a cloak for covetousness— God is witness. 6 Nor did we seek glory from men, either from you or from others, when we might have made demands as apostles of Christ. Paul was “approved by God” (δοκιμάζω dŏkimazō, dok-im-ad´-zo). God had examined and tested him before he was entrusted with the gospel. Part of that testing must have involved his pure motives. But the real test was whether or not he would cave in to peer pressure and compromise the gospel message so as to please people. He had to be tested to see if he would stay true to God’s gospel word even in the face of opposition. This was a test for him not God. So here we see persecution serves the purpose of revealing our motives whether pure or not (2:4a). God “tests our hearts” (2:4b). Someone has said, “A faith that isn’t tested can’t be trusted.” A faith that is tested, and proven reliable, can be trusted. God is faithful. If God were to test your heart, what would He find? Would He find someone who is willing to stand up to opposition in order to preach the truth the gospel of God and His word? Or would He find someone that would water down or compromise the gospel and word of God in the face of opposition. Would He find someone who is more seeker sensitive than scripturally sound? Paul was not a people pleaser. He knew that if he put pleasing people above pleasing God he would cease being a servant of God (Ga. 1:9-10). What might a person be tempted to do in order to please people and avoid persecution? Paul who took and past God’s test over and over tells us what he was unwilling to do in the face of opposition. Someone who fails this test is someone who uses “flattering” words (κολακεία kŏlakĕia, kol-ak-i´-ah) or insincere or excessive praise in order to manipulate someone. Flattery is the practice of dishonestly praising someone. It often involves “a cloak of covetousness.” Covetousness (πλεονεξία plĕŏnĕxia, pleh-on-ex-ee´-ah) as it is used here would involve putting on a false presentation in order to get something out of someone. Like the person who assures you they have your best interests at heart only to discover later that they unloaded a damaged or faulty product on you that doesn’t measure up to their previous claims. Think dishonest car salesperson (2:5a). Sadly, this is the way many ministers come off today; especially those in the media. This is often the reputation the world has of all ministers because of the selfishness of a few. To combat this reputation of selfishness and regain ministry as being above reproach I encourage the practice of not taking an offering in church services. Where God guides He provides. Let the Spirit move on people to obediently give the tithe and offering. Remove any possible basis for an accusation of self-profit. Apply some faith in stewardship. See what God will do in terms of financial support as well as purifying the reputation of ministry. When the world attends a service where there is no offering taken, it is a surprise to them and testifies to that church’s dependence on God as well as pure motives in ministry. Paul affirmed this statement by saying, “God is witness” (2:5b). Paul had mentioned earlier how the Thessalonians lived in the “sight of God” (1:3). Paul now says his ministry was lived “in the sight of God” as well. If Christians are to live in the sight of God, how much more should ministers live in the sight of God? What does God think about the way you minister? Would you do what you do in the presence of the Lord? He is there you know. Think about that (cf. 2 Chronicles 16:9; Psalm 139; Zech. 4:10). Paul further emphasizes his honest ministry by saying he didn’t seek people’s glory or their support, “when we might have made demands as apostles of Christ” (2:6). Paul could have asked for support both in terms of accolades and actual financial support. He chose not to. One commentator states, “Traveling philosophers and orators were common in the Roman Empire. They itinerated from place to place, entertaining and seeking a personal following for fame and fortune. Paul and his companions had nothing in common with such men! Rather than seeking something for themselves they delighted in giving to others freely.”  As an apostle Paul had been entrusted with a great amount of authority by the Lord. He could have thrown his weight around. But he did not. He had a servant’s heart and served His Lord humbly by serving others humbly. He realized he was a product of God’s grace not his own efforts (1 Cor. 15:10). A workman is worthy of their wages (1 Tim. 5:18), but there were times when Paul chose not to avail himself of this privilege in order to forward the gospel (e.g. 1 Cor. 9). That is the sign of a true minister of God. Are you in ministry or seeking to be in ministry in order to earn a living or make some money? If so, you’re in the wrong line of work. Ministry is not a profitable career financially speaking. It is a very profitable career in terms of eternal rewards. But those rewards are not frequently seen in this world. They are realized and seen in the hereafter. An honest minister of God will forego profit in this life in order to make prophets in this life. An honest minister of God will forego and sacrifice financial gain now in order to secure the eternal life and salvation of souls of the lost. Ministry more often than not involves long hours and low pay. Are you willing to walk that line? This is what it means to live to please God and not men. 1 Thessalonians 2:7-8 – 7 But we were gentle among you, just as a nursing mother cherishes her own children. 8 So, affectionately longing for you, we were well pleased to impart to you not only the gospel of God, but also our own lives, because you had become dear to us. Paul said he was “gentle” (ἤπιος ēpiŏs, ay´-pee-os) affable, mild, tender, like a mother is with her nursing child. Have you ever seen a mother with her nursing child? She receives that little baby into her cuddling arms, holds him or her up close in the tenderest loving way as she feeds them. It’s the tenderest loving warm comforting embrace. The baby is delicate, new, and vulnerable. The mother holds the infant close to communicate her love. It’s a tender expression of love unmatched and embedded by the Lord in the mother child relationship. Paul uses that “gentle” imagery to express how he felt and ministered to the Thessalonians. The word “cherishes” (θάλπω thalpō, thal´-po) means to keep warm, or brood over. Like a hen and her chicks, a cat and her kittens, or a dog with her puppies, Paul looked after those he ministered to. This imagery is used in reference to our relationship with the Lord (Psalm 17:8; 36:7; 57:1; 63:7). God loves and cherishes us. He protects and cares for us. God uses ministers as the conduits of such cherishing love of His flock. Paul uses others words to express his feelings toward the Thessalonians. Words like “affectionately longing for you” (ἱμείρομαι himĕirŏmai, him-i´-rom-ahee) or yearning and longing for. Like a mother who has just delivered her baby and is awaiting that first embrace. Paul uses the words “dear to us” (ἀγαπητός agapētŏs, ag-ap-ay-tos´), a word that is derived from the agape love word meaning beloved or dearly, preciously loved. The words Paul used to relate how he felt toward the Thessalonians were tender loving words. Paul valued those he served. If you are a minister or involved in ministry, do you affectionately long for and cherish those you minister to? Do you see them as dearly beloved people? It isn’t always easy to do so is it? Children cry. When they get older they throw tantrums and later will likely rebel and challenge your authority as parent. They will disobey and disrespect you. Through it all do you still cherish them? Yes, if you are a good parent. It doesn’t mean you won’t be hurt by your child’s behavior. But you will still cherish your children. Ministers are called by God to cherish and parent His children like Paul communicates with these words. If you are in ministry for yourself you won’t cherish the people you minister to. You will complain about them just like they complain about you. It will be a dysfunctional relationship. Love is the only antidote to the dysfunction. Love holds ministry together. This love is from the Spirit (Rom. 5:5; Gal. 5:22f.). This heaven-sent love is the only way we will be able to say, like Paul did, “we were well pleased to impart to you not only the gospel of God, but also our own lives, because you had become dear to us.” Paul gave his life for the Lord and for the people he served. Love never fails (1 Cor. 13:4-8). Can you say this? “Burden” (ἐπιβαρέω ĕpibarĕō, ep-ee-bar-eh´-o) refers to being heavy upon, expensive, an overcharge, or severe cost. Paul didn’t cheapen his ministry, but he absorbed the cost rather than have those he ministered to do so. Does this mean a good minister will not charge or never receive compensation for ministry? There are times when a minister should not charge so as not to become a burden to the flock of God. When a church is first being planted a minister may have to be bi-vocational for many years before the church can afford to financially support them. But a church, if able, should support the minister(s) and their family. A minister if they are a pastor is called to devote themselves to the ministry of the word and prayer (Acts 6:4). “It is not desirable that we should leave the word of God and serve tables” (Acts 6:2). Each situation is different and the Body of Christ and minister/pastor need to follow the leading of the Spirit in order to fulfill their respective calling. Ministry is a lot more than preaching or teaching a couple of hours a week! There is time for preparation and seeking the heart of God in what to communicate to the flock of God. There is paying attention and performing due diligence with rightly handling the word of God (e.g. 2 Tim. 2:5). There is praying night and day (1 Thess. 3:10). There is ministering to the needs of the body of Christ as well as reaching out to the local lost community where God has placed you. Then there is overseeing the administration and stewardship of the church, supporting the unity of the Body of Christ beyond one’s local church, missions, social services, and a myriad other aspects of ministry that the Lord opens the door to be involved in. Ministry is hard work! But the minister has to always remember, “It is the Lord!” (John 21:7). It is not by might, nor by our power, but by the Spirit of the Lord that ministry is done (Zech. 4:6). It is all by God’s grace. Apart from Jesus, we can do nothing! (John 15:5). For those who are exhausted under the labor of ministry Jesus calls him to give Him the burden and take His yoke and follow beside Him (Matthew 11:28-30). If we are laboring in the power He provides and casting our ministry net where Jesus directs us to, we won’t burn out and we will bear fruit. 1 Thessalonians 2:10-12 – 10 You are witnesses, and God also, how devoutly and justly and blamelessly we behaved ourselves among you who believe; 11 as you know how we exhorted, and comforted, and charged every one of you, as a father does his own children, 12 that you would walk worthy of God who calls you into His own kingdom and glory. Paul calls the Thessalonians to recall what they have seen with their own eyes. He has served “devoutly” (ὁσίως hŏsiōs, hos-ee-oce´) holily, “justly” (δικαίως dikaiōs, dik-ah´-yoce) equitably and righteously, and “blamelessly” (ἀμέμπτως amĕmptōs, am-emp´-toce) or unblameably, faultlessly. Paul lived a holy, fair and unblameable life before the Thessalonians. Paul counted the cost. He lived a high standard of ministry. Paul “exhorted” (Present tense of παρακαλέω parakalĕō, par-ak-al-eh´-o) or continuously called near, invited, implored, and beseeched the Thessalonians. He “comforted” (Present tense of παραμυθέομαι paramuthĕŏmai, par-am-oo-theh´-om-ahee) or continuously encouraged and consoled them. And he “charged” (Present tense of μαρτυρέω marturĕō, mar-too-reh´-o) continuously witnessed to, charged, and testified to these people. And he says he did this to, “every one of you.” Paul was impartial and ministered to everyone he could impartially. He didn’t minister to crowds as much as he did to individuals. In this regard he seems to be suited for something other than a mega church. And he did this “as a father does his own children.” Again we see the parental imagery only this time the image was as a father with his children. Fathers have a great responsibility to minister to their children. Paul would not have used such an illustration if this was not the case. Fathers need to step up and minister to the needs of their family. Fathers need to spend time with their children and know where they are at with the Lord. Whenever Paul speaks of parental responsibility, he focuses on the responsibility of the father first and foremost. What was the prime objective for Paul in all of this? He says it was, “that you would walk worthy of God who calls you into His own kingdom and glory.” The word “worthy” (ἀξίως axiōs, ax-ee´-oce) means appropriately or suitably. Paul’s objective was that the Thessalonians were well grounded in their faith. He wanted them to respond to the Lord in a way that was worthy of Him. Jesus gave His life for us. Can we do any less? (cf. 2 Cor. 5:14-21). Paul lived the exemplary faithful life described in these first twelve verses as a pattern for people to follow. Every minister should follow in Paul’s steps. To another church Paul said, “Imitate me, as I imitate Christ” (1 Cor. 4:16; 11:1). This is the gold standard for ministry. This should be the norm. Is it for you?